Chelsea FC Team: Chelsea Football Club is a professional football club in London, England, that competes in the Premier League. Founded in 1905, the club’s home ground since then has been Stamford Bridge. Chelsea is one of the richest football clubs in the world. Chelsea’s wage bill for the 2017-18 season is around £224m which is second after the Manchester United. Players at Chelsea FC are paid high salaries compared to most of the football teams in the world. Chelsea provides a worthy wage bill for their players and values them the most. In this post, you will get to know all Chelsea players salaries/wages this 2018 and even their contracts. Lets no forget that they boosted their squad by resigning David Luiz for £32m from Paris Saint Germaine (PSG) having already brought in N’Golo Kanté for £29m from Leicester, Michy Batshuayi for £33m (loan to Borrussia Dortmund) and Marcos Alonso for £19m on the deadline of the transfer window. Chelsea FC was the team with highest yearly wage bill during the 2015-16 season. 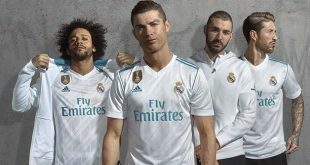 They crossed a record £217 million which saw around £25 million increase from their last season victory in winning the English Premier League. The only teams that can compete with the spending power and money spent on players wages are Manchester United and Man City. Antonio Conte, signed a three-year deal to be Chelsea’s current manager from 2016 to 2019. His basic salary is £6.5m per year only. 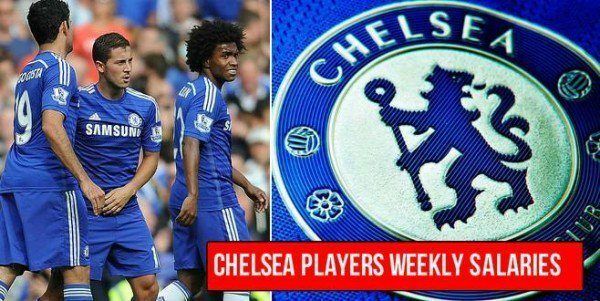 Here are all Chelsea players and their salaries per week. See the full details about the Chelsea player wages and contracts during 2017-18. The information about the Chelsea FC player salaries, weekly wages and contracts is accurate and based upon facts collected from BBC, Guardian, PremierLeague.com and other sources. Who is the highest paid player at Chelsea? Eden Hazard is the highest paid player at Chelsea FC with a Weekly Salary of £200,000.